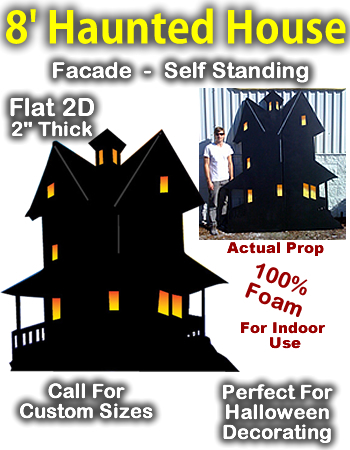 Giant Haunted House Foam Prop - Dino Rentos Studios, INC. Giant 8 foot tall haunted house facade. Perfect for a Halloween party or event. Upgrade to a hard coated version for extra durability.